No. 23 SFTS officially opened on April 10 1941 remaining open until December 1 1944 for a total of 1,320 days. Utilizing North American Harvard, Avro Anson and Cessna Crane aircraft, the school graduated approximately 2,000 pilots. For a brief 229 days from January 29 1945 to September 14 1945, Yorkton was also the home of No. 23 Elementary Flying School was moved from Davidson Saskatchewan when that base closed. In 1947, one of the buildings became a 50 bed auxiliary hospital for the City of Yorkton. In 1951, one of the hangars became home to the Yorkton location of Saskatchewan’s Western Development Museum. The museum moved to a new home near Yorkton in 1972. Since its BCATP closure No. the 11 SFTS And No. 23 EFTS site has hosted a number of various enterprises. It has been the Yorkton Airport for many years with only on hangar and no other buildings suriving today. We are unable to explain seven instead of five hangars in the war time air photo of No. 11 SFTS. 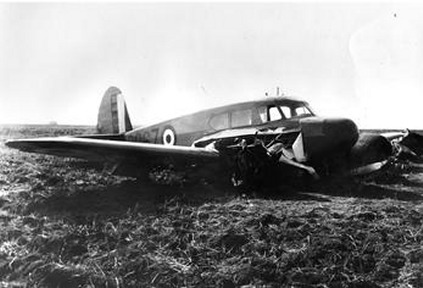 The other photo shows an unfortunate trip for a hapless airmen training at Yorkton. 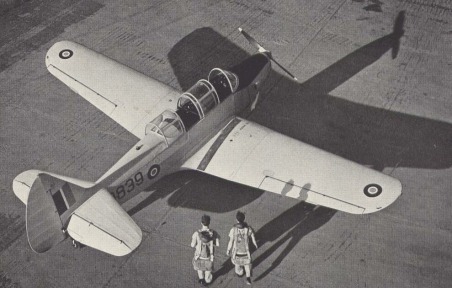 The caption on the back of this photo in the Commonwealth Air Training Plan Museum archives states: "Cessna Crane 8067, August 1942, from #11 S.F.T.S. Yorkton, Sk. Unknown student pilot on solo made belly landing near Rivers Manitoba. Aircraft caught fire in the air due to failure of rigged A1 Fuel line." For those keeping score, Yorkton is 204 air kilometers from Rivers and a Cessna Crane cruising speed is 233 km/hour. We doubt he made it back to Yorkton for supper. No. 1 Naval Air Gunner School (NAGS) operated in Yarmouth, Nova Scotia for 819 days between January 1 1943 and March 30 1945. No. 1 NAGS was located on what was known as the East Camp at Yarmouth. Two other RCAF establishments were based at Yarmouth. The West Camp was home to a number of operating Royal Canadian Air Force Units including those involved with anti-submarine reconnaissance and warfare, and general reconnaissance. A third component was the airfield which served the other components in meeting flying requirements. Prior to the inception of No. 1 NAGS, the East Camp was briefly home to the No. 34 Operational Training Unit which was moved to Pennfield Ridge New Brunswick where it was in operation for 718 days between June 1 1942 to May 19 1944. The East Camp consisted of 40 buildings constructed by a number of local crews totalling 150 to 200 labourers, carpenters and foremen. At the request of the British Royal Navy, the British Commonwealth Air Training Plan opened No. 1 Naval Air Gunner School with the purpose of training Telegraphist Air Gunners (TAGS) for the Fleet Air Arm. The initial objective was to train 378 RAF aircrew with 36 weeks of ground instruction, 13 weeks of radio training, 14 weeks of gunnery training and four weeks of air gunnery training. 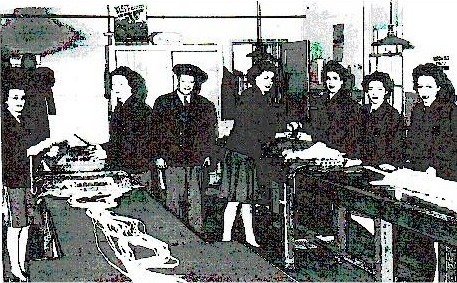 Forty-two students were enrolled each month. 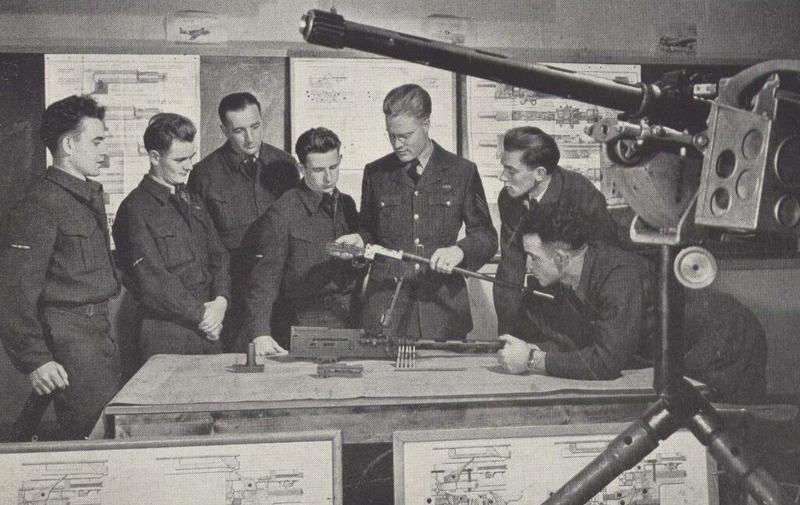 By the end of the war, over 2,500 Telegraphist Air Gunners had been trained. At No. 1 NAGS, the RCAF was responsible for administration including providing basic needs like motor transport and medical services. The Royal Navy provided the training while the Royal Navy and Royal Air Force personnel attached to the navy provided maintenance for the training wing. Squadron pilots were recruited from the Royal Navy, Royal Air Force and Royal Canadian Air Force. Three primary aircraft were used including 45 Fairey Swordfish (from 745 RAF Squadron. ), 15 Avro Ansons (from the BCATP) and 40 Stinson Reliants (from 744 RAF Squadron). In January 1944, the Stinson Reliants were replaced by Curtiss Seamews (sea gulls) under the Lend Lease program. 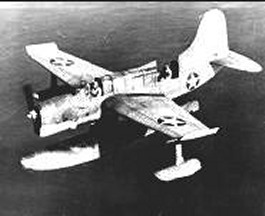 They were found to be unreliable as a trainer aircraft and were used only until September 1944. In 1946 the RCAF station at Yarmouth was taken over by the Canadian Department of Transport which opened Yarmouth Airport. 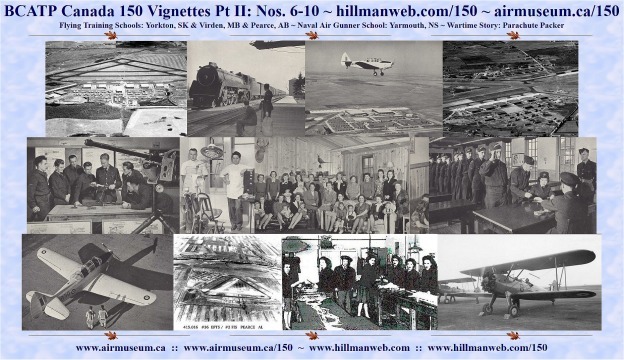 Of the 40 buildings at this station, only two hangars were retained on site for Yarmouth airport and another two were moved to Digby and Liverpool Nova Scotia to become hockey rinks. Attached is a World War II air photo of RCAF Station Yarmouth and a photo of the Curtiss Seamew Aircraft. Located north of Virden Manitoba in the Rural Municipality of Wallace, No. 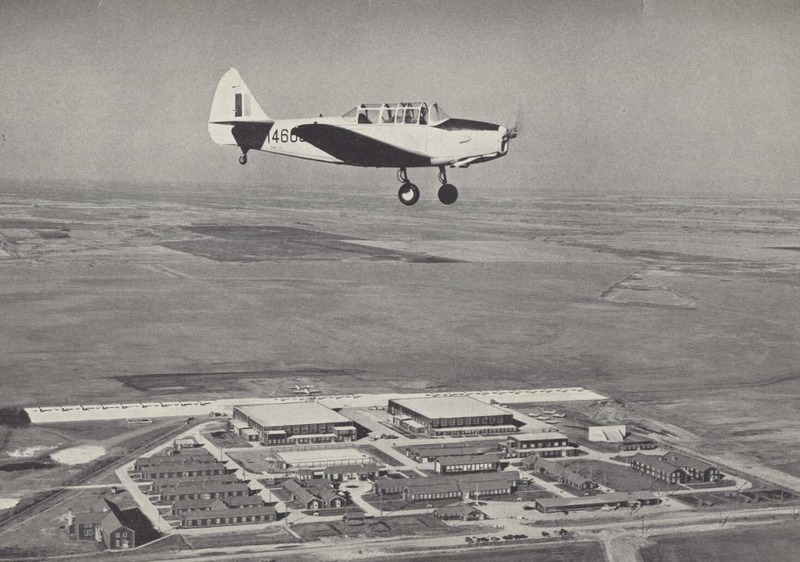 19 Elementary Flying Training School opened on May 16 1941. It was built at a cost of $1.25 million. It was one of the first double-sized schools. It remained in operation for 1,309 days and closed on December 15 1944. Like all but one of the EFTS schools, No. 19 operated as a private company under the name of Virden Flying Training School Limited (VFTS). It operated with an interesting twist - all profits made during the four years it was open were returned to the government. That total was over $530,000. The company showed a patriotic streak in another way. All of its employees, aged 16 to 84 years, were hired only if they were unfit for military duty. This left eligible recruits to enlist in the military unfettered. Many of the employees at No. 19 EFTS, including all of the department heads, were veterans of World War I. Other employees were veterans of wars prior to that. At its peak, 200 civilians were employed at this school. 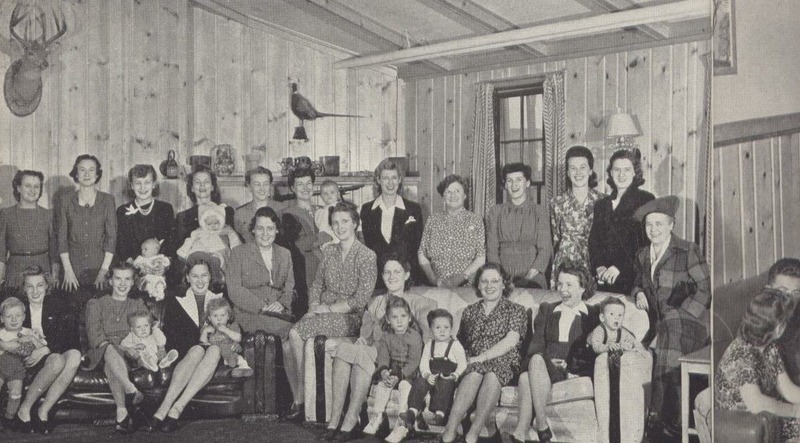 The influx of civilians and training staff caused a housing shortage and subsequent escalation or rents in the Town of Virden. The company eased this situation by erecting 28 prefabricated houses in the village of Lenore, 24 km. north of No. 19 EFTS. Lenore was also the location of a relief landing field for this school. Of 3,432 students enrolled for training at Virden, approximately 2,700 graduated. An additional 252 students graduated after being "pilot graded" without training based on previous flying experience. The average ground school grade was 80.19%. In total, pupils of No. 19 EFTS flew a total of 235,490 hours in de Havilland Tiger Moth and Fairchild Cornell aircraft. There were three fatalities.Training was not restricted to RCAF airmen. Sixty A and C civilian engineers trained and were granted certification by the Department of Transport. While this school was open, a succession of three station magazines was published. They were "The Wind," "The Tiger Rag" and "The Slipstream." The last remnant of No. 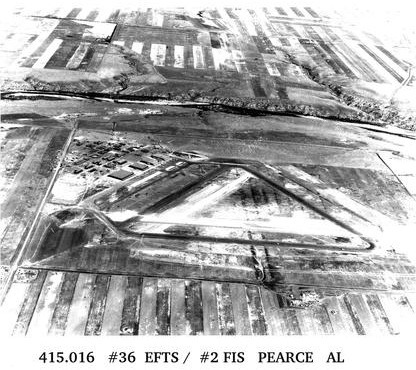 19 EFTS Virden Manitoba, a hangar, was demolished recently. The site is now the home of the Virden airport. Much of the information in this vignette and the attached photographs were found in "Virden Days – Memories of No. 19 E.F.T.S. R.C.A.F. 1941-1944" the souvenir booklet commemorating the closing of No. 19 SFTS. There is an interesting passage in this book: "One of the tensest days was in the fall of 1942 when 17 solo pilots returning home were caught in a sudden low overcast eliminating the airport. None had more than 30 hours flying time. All forced-landed safely on widely scattered farms." The photographs have been labelled "Going Home," "Cornell over No. 19 EFTS," "Air Armament Training," "Barracks Life," "Our Friendly Dental Staff." "The Ladies Auxiliary," "Pay Day" and "Cornell." The first week of September 1939, I left my home in Miami Manitoba to enroll in grade 12 at the high school in Roland. These towns were 12 miles apart so I had to stay there for the school week. A few days after school started, Great Britain and Canada entered the war. Soon most conversations among teachers, students and on the streets were about the war. There was considerable interest and excitement about enlisting and one by one the younger generation joined the Forces. By the end of the war, 260 people from the Roland and Myrtle area had enlisted. I had become a good friend with one of these young men by the name of Ivan Brown. He enlisted June 6, 1940 in Winnipeg. His initial training was at Manning Pool, Brandon. He went from there to St. Thomas, Ontario for technical training as an aero engine mechanic before being pcsted to SFTS (Service Flying Training School) at McLeod, Alta. The exit of teachers into the Military created a shortage. Many grade 12 graduates were allowed to become teachers. When a local school 4 miles from Miami was without a teacher in 1940, the school board asked me to consider the position, and I accepted. The salary was $600 annually. I had $15/month deducted for the Department of Education to be applied to Normal School tuition if I were to be a student at a later date. I paid $15/month for room and board. I went home on weekends, so I was left with $30. My school had 18 students in grades one to eight. On January 2, 1942 I entered the Hospital in Morden for nursing training. I resigned in July to prepare for my marriage. Ivan and I were married at McLeod on August 15, 1942. Our time together was brief. Ivan was posted overseas in November. Our first home was a large two-story house with five bedrooms on the second floor. Five Airforce couples shared this floor. Each room had a rangette, small table and two chairs, pull-out couch, wooden boxes for dishes etc. and a clothes closet. I can't remember the bathroom arrangement but I think we could use the one on the main floor when necessary. 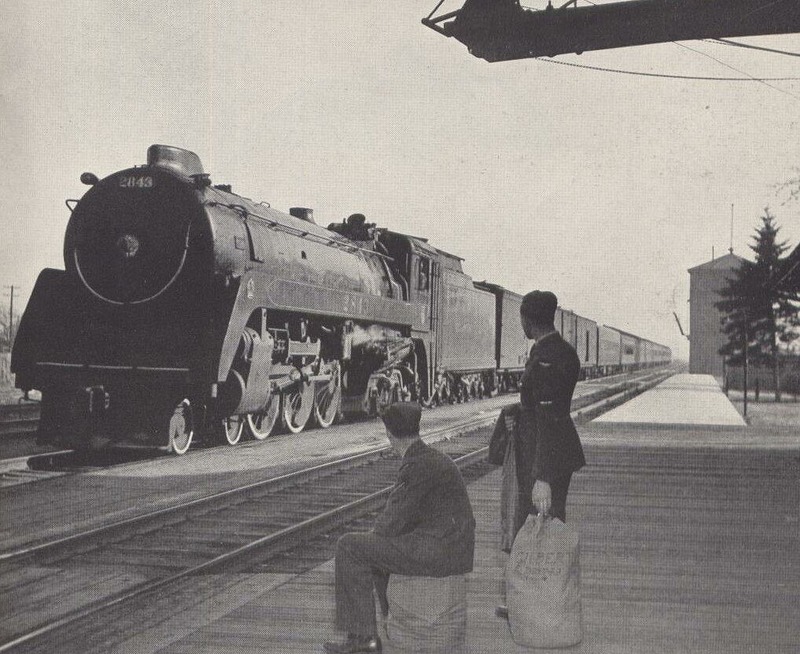 We left by train for a two week embarkation leave to our homes at Roland and Miami, then to Winnipeg where we were accompanied to the CPR Station by Ivan's sister Edna, and my sister Marguerite. Ivan left with hundreds of other military and a number of Service Police keeping order. I returned home with my sister whom I lived with until March 1945. Within days I went to the employment office. I chose a job of receptionist and bookkeeper at Peerless Laundry for $50/month. That was heavy work, lifting bags of laundry over the counter and identifying them. After a month I returned to the Employment Office and saw the sign "Wanted: Parachute Packer". I applied and was accepted. It was at #5 AOS (Air Observers School). It was located in Winnipeg south of the present day International Airport. Seven employees including myself worked in this section of a hanger for $100/month. The parachutes were laid side by side on rows of shelves. They had to be opened, hung to air in a place we called the well for three or four days and then repacked. They were made of nylon , 24 panels, each one numbered and folded by consecutive numbers into a neat pack. The ropes too were folded in a special way and a card was removed from the canvas pack, dated, signed and replaced. Sometimes cleaning was necessary. This was done on a 30 day rotation. The airmen often asked, "If it doesn't open can I bring it back?" We worked shifts - either 8a.m. - 4 p.m. or 4 p.m. until the last flight was in. The last bus left the station in time to catch the last streetcar that went east on Portage Avenue at 1 a.m. Since I had taken a St. John's Ambulance course with my nursing experience, I volunteered at Deer Lodge Hospital. Volunteers wore a blue smock with a Red Cross on the sleeve. We assisted with bathing, feeding, back rubs etc. By March, the war in Europe was being terminated and #5 AOS was closing. The United States was concentrating on the war in the Pacific Theatre. Scouts (agents) came from Washington D.C. to the station to employ experienced people. I accepted a position as a filing clerk and I left Winnipeg with other girls to begin work April 1. We were in the Arlington Hotel a short distance from the White House where the British Admiralty had their offices. I worked for a Lt. Pugsley. He was in charge of British ships in the Pacific. Reports, orders for repairs etc. for British ships were received and dispatched from this office. This office closed for Roosevelt's funeral, the first week of April. The staff walked over to Pennsylvania Avenue, a distance of two or three blocks to watch the procession. The humidity in Washington was very high and I remember the Officers always asking for "a cup of tea". In August Ivan was on his way home. I had contact with the Canadian Embassy after I received the following telegram. They informed me that seven Americans and one Canadian had boarded a certain train. I was at the station to meet him, it was quite a surprise to my husband. After a few days we travelled to New York and Niagara Falls. On August 15 when we were about to celebrate our 3rd anniversary, news came about victory in Japan. Streets became noisy with people. Business places closed their doors. The banquet we planned once again had to be postponed. We walked over the bridge to Niagara Falls N.Y. and joined in festivities with the Americans in a very noisy environment. There was lots of free food and drink. We visited relatives at Durham, Toronto and London, Ontario. before arriving in Winnipeg September 14. Ivan received his discharge on October 16th. We remained in Winnipeg for the winter and bought a farm in Miami in the spring. We raised our four children on the farm. We retired to Carman in 1988 and celebrated our 58th anniversary this year August 15, 2000. The Commonwealth Air Training Plan Museum has a large number of wartime reminiscences in the archives. We found an interesting account of British Commonwealth Air Training Plan activity in Pearce Alberta on a great website -- www.timothyallanjohnston.com/a-daily-diary-history-of-rcaf-station-pearce-alberta.html. It has a selection of excerpts from the daily reports written for the various schools that were located there during World War II. It is the story of a BCATP school where no one seemed sure what its purpose was to be. Pearce first played host to No. 36 Elementary Flying Training School which opened on March 30 1942. It was open for 137 days to the Royal Air Force which used de Havilland Tiger Moth and Boeing Stearman aircraft for flying training. For all Canadian wartime training, the Stearman was used only by three RAF elementary schools, all located in Alberta. On May 31 1942, the school had 69 Stearman and 14 Tiger Moth aircraft. In anticipation of opening, the school became home for 32 officers and 304 airmen, all RAF, who arrived on March 17 1942. 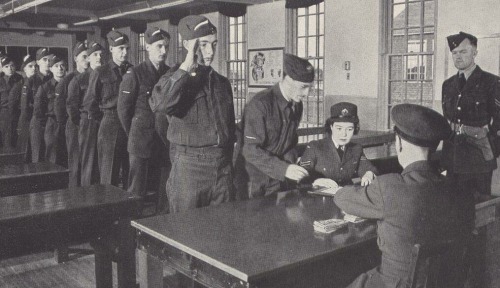 On arrival, personnel were given the opportunity to exchange a maximum of 10 British pounds to Canadian dollars. 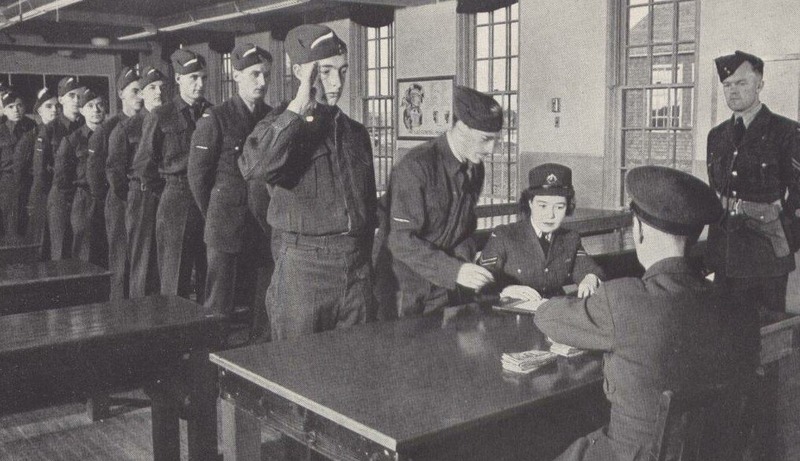 They were also allowed pay advances in the amount of $50 for officers, $25 for Warrant Officers, $15 for Flight Sergeants and Sergeants and $10 for Corporals and below. Students did arrive with the officers and airmen in March and another 90 students arrived from an overseas voyage to Moncton New Brunswick in early April. The short-lived station magazine for No. 36 EFTS was "The Elevator." There were three fatalities as a result of one mid-air collision at No. 36 EFTS. After operating for four short months, the school was relocated on July 14 1942 to another RAF school due to the high winds at Pearce which students could not cope with in light aircraft. No. 3 Air Observer School succeeded No. 36 EFTS at Pearce on September 12 1942. It was open for 267 days. 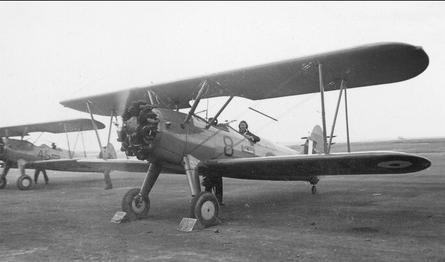 The school, under the command of the Royal Canadian Air Force, was operated by a private company known as Prairie Flying Training Ltd. which provided staff pilots and ground crew for the RCAF. Instruction was provided by RCAF staff. The first 43 trainees arrived with 12 staff and six officers on September 12 1943 for one Bomb Aimer and two Navigation Courses. By December 31 1942, the school was home to 14 RCAF staff officers, 2 RCAF WD officers, 2 nursing sisters, 69 RCAF staff airmen, along with 83 trainees of which 68 were RCAF, 11 were RAF, 2 were Royal Australian Air Force and 2 were Royal New Zealand Air Force trainees. On January 22 1943, a Wings Parade was given to honour Course 65 which graduated 10 RCAF, 11 RAF, 2 RNZAF and 2 RAAF Air Bomber grads. There were no wash outs. On April 15 1943 another Wings Parade was given in honour of the Course 66 Navigators of which 25 were Royal Australian airmen and 1 was from the RCAF. There was one wash-out. All of the graduates were posted to No. 1 Y Depot in Halifax Nova Scotia. No. 3 AOS was originally located in Regina Saskatchewan. With the move to Pearce, Regina was reclassified as No. 3 AOS Detachment. Pearce did not have the facilities that other Air Observer Schools had and could not accommodate a full complement of students. As such, Regina continued to train a portion of the classes. As of December 31 1942, No. 3 AOS in Pearce operated a total of 19 Avro Anson, 2 Cessna Crane and 1 Stinson aircraft. Open for less than one year, the writing was on the wall again for the school in Pearce. 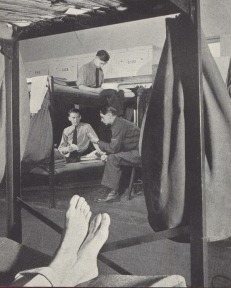 On April 3 1943, two courses were moved to the Regina detachment leaving only one at Pearce. 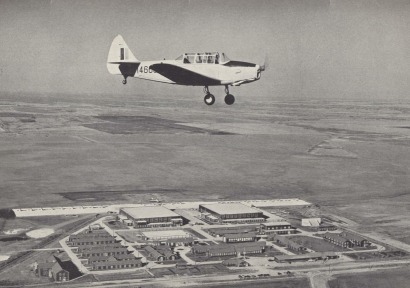 The last course to graduate at Pearce was in April 1943. By the time No. 3 AOS closed down in Pearce on June 6 1943, all of its personnel had been dispersed to other schools and No. 3 AOS Regina Detachment closed when three remaining courses graduated. Pearce finished out the war as No. 2 Flying Instructor School which had been moved from Vulcan Alberta on April 26 1943. 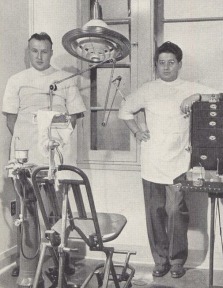 It was in operation for 646 days and closed on January 31 1945. After closure, Pearce was used until 1960 for the storage and disposition of aircraft no longer needed by the Royal Canadian Air Force. It became the final resting place for many aircraft prior to "breaking-up" and transport to the scrapper.